Katherine Parr, Henry VIII's widow, the Queen Dowager, did not stay single long after the King's death. 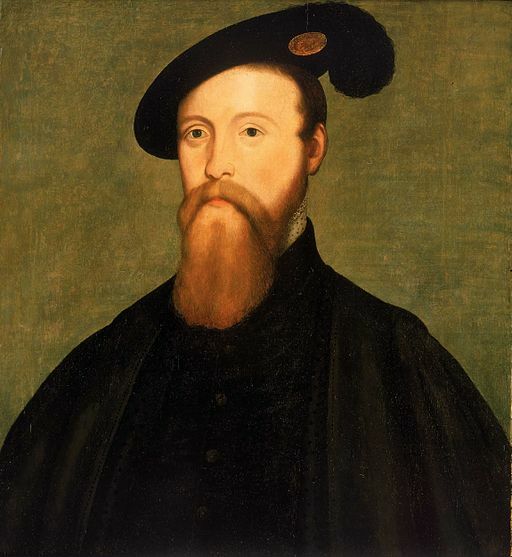 Within only months of his passing she married an old love, Thomas Seymour, Lord Admiral, King Edward's uncle and brother of Edward Seymour, Lord Protector of England. 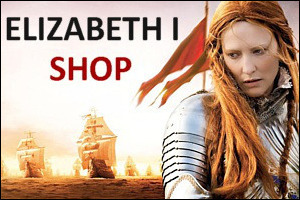 Elizabeth, with her servants, went to live with the Queen and her new husband, and a new era of trouble began for her. Thomas Seymour, a dashing man in his late thirties, took an unhealthy interest in his new step-daughter, who had now just turned fourteen. He was charismatic and charming, and it is possible that Elizabeth developed a teenage crush on him. But whatever her adolescent feelings for him may have been, Seymour took advantage of them, and began to visit Elizabeth's bedchamber early in the mornings to romp in the bed with her. Sometimes the Queen herself accompanied him, and they would both tickle her. Another time, they teased Elizabeth in the garden, the Queen holding her while Seymour cut up her mourning gown for her father. What exactly happened between Elizabeth and Seymour will always be a mystery. The little knowledge we have of Elizabeth's time at the Queen Dowager's household, comes from documents produced some time later when an investigation was taking place into Seymour's relations with Elizabeth and the other royal children. 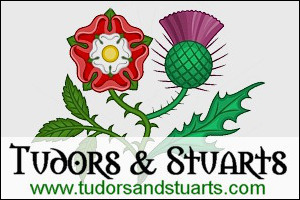 Certainly matters appear to have got out of hand, Seymour's interest in Elizabeth being blatantly sexual, and neither Katherine Parr, Kat Ashley, or Elizabeth herself was comfortable with his behaviour. Elizabeth would reputedly rise early so that when he came to her bedchamber in the mornings she would already be up and dressed. Matters came to a head when Elizabeth was reputedly found alone with the Admiral, and Katherine, concerned and perhaps a little jealous of his interest in the young girl, thought it would be better for her to leave the household. Elizabeth accordingly left, although there was no enmity between the two women, and Elizabeth wrote often to the Queen, who was now heavily pregnant. 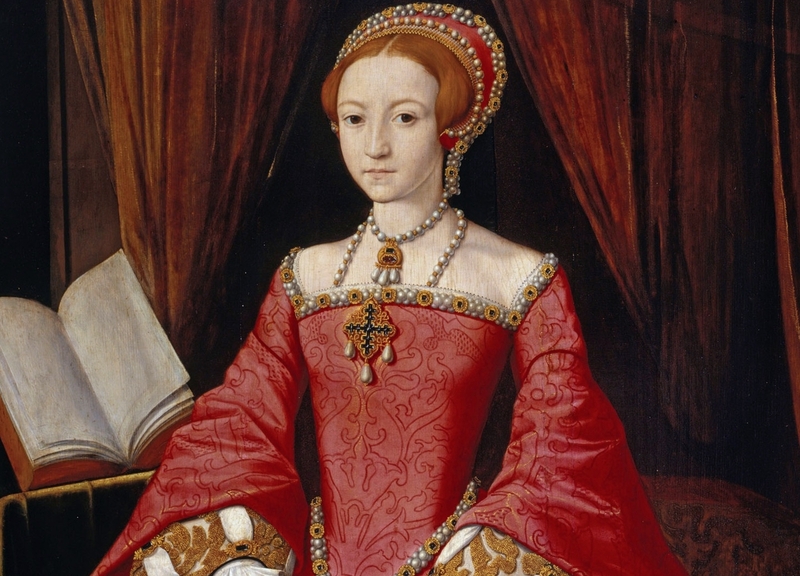 Soon after, Katherine gave birth to a daughter, who was named Mary, but the Queen Dowager did not survive the birth and died on 5 September 1548 at Sudeley Castle. What became of Mary is unknown. She certainly lived for a while but then disappears from the historical record. Most likely she died in childhood. Leaving the household was not the end of Elizabeth's troubles with the Admiral. Shortly after his wife's death, Seymour began to seek Elizabeth's hand in marriage. Elizabeth turned him down. Seymour was deeply jealous of his brother's power, and influence with the boy king, and wanted to take his place as Lord Protector. In an attempt to take over power, he planned to abduct the king, marry him to Lady Jane Grey, and marry himself to Elizabeth. His plan failed and he was arrested for treason. Unfortunately for Elizabeth, his plan to marry her brought into question her loyalty to the king. Did she consent to the marriage? Was she complicit in his plot? It was high treason for an heir to the throne to marry without the consent of the monarch, Privy Council and Parliament, and Seymour's actions put Elizabeth in great danger. Her servants were arrested and sent to the Tower of London, and she herself was closely guarded and rigorously interrogated by Sir Robert Tyrwhit.